The Parkinson’s Foundation 2018 Gala was held at Cipriani 25 Broadway in New York City on Tuesday, May 8, 2018. Willie Geist, Host of NBC News’ “Sunday TODAY with Willie Geist” and Co-Host of MSNBC’s “Morning Joe”, served as the Master of Ceremonies. 280 supporters were in attendance and the evening raised $750,000 to benefit the Parkinson’s Foundation, a national organization working towards a cure for Parkinson’s disease. 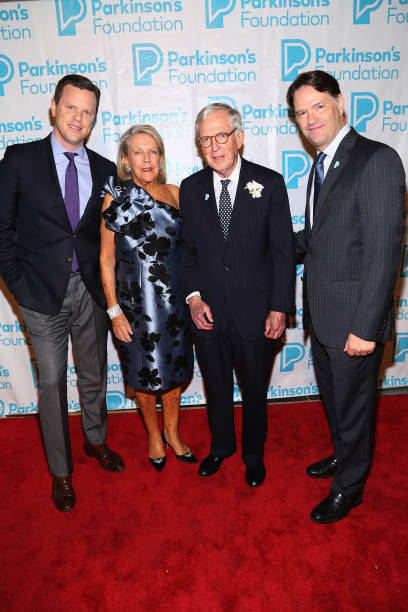 The Gala honored Parkinson’s Foundation Board Member, Richard D. Field, retired Senior Executive of BNY Mellon and MasterCard, Founding Director of Lending Tree, financial services industry leader, and Parkinson’s advocate. Guests enjoyed a musical performance by a special cabaret performance by Bob Hardwick and Broadway Cast. Karen Elizabeth Burke, M.D., Ph.D., Kate and Read Coughlin, Ian and Melissa Cutler, Peter and Whitney Cutler, Jill Taub Drury, Dickie and Beth Field, Jim and Janet Field, Sky Field, Stephanie Goldman, Isobel Robins Konecky, Arlene Levine, and Devon Pastor were the Gala Co-Chairs.